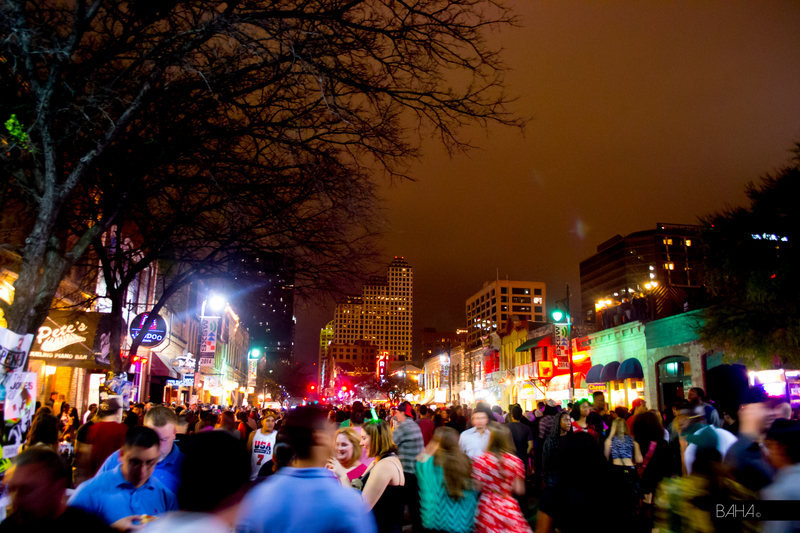 South by Southwest (SXSW), Austin, TX’s annual music festival, focuses on promoting musicians, filmmakers, and interactive tech subdivisions. 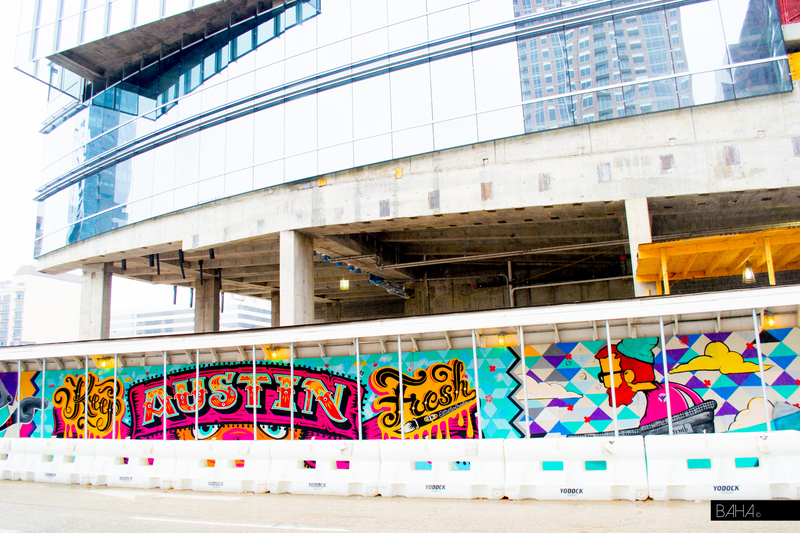 The exciting, high energy scene makes a natural location for muralists and installation artists who display visual art throughout the SXSW festival. SXSW is currently ranked as the largest music festival in the world, with more than 2,200 musical acts listed in the official SXSW guidebook. 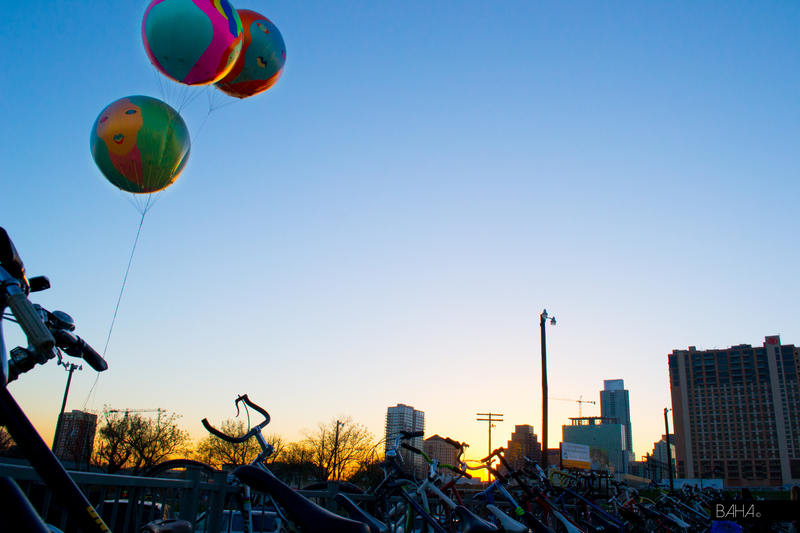 Every year, over tens of thousands of visitors arrive in Austin in celebration of music week. The experience began in 1987 as a small music event and has continued to grow in size throughout the years. 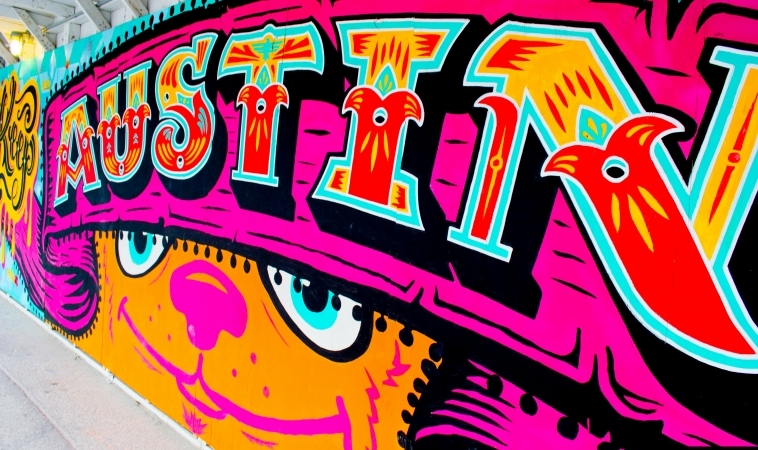 This year unique and alluring art covered the streets of Downtown Austin. From walls to stages, billboards to vehicles, the city was filled with creative energy. 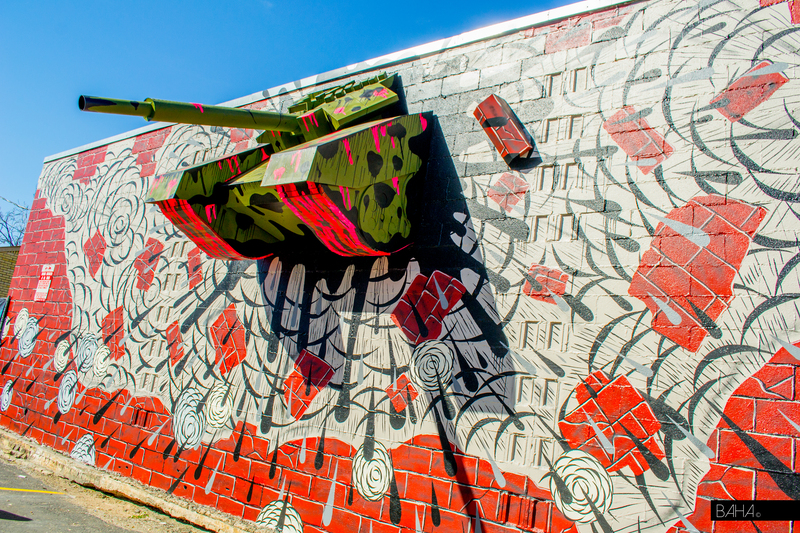 Companies such as Converse, Vans, Juxtapoz Magazine and Arsenal Creative brought artists together for the creation of new vivid art installations throughout the streets. 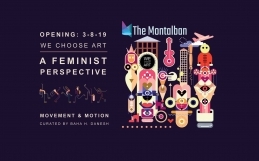 Artists like Dennis McNett from Wolfbat studios, Richard Colman, Andrew Schoultz, and David Ellis teamed up with Juxtapoz Magazine for the creation of installations, performances, and interactive art to accompany the music, tech, and film scene of SXSW. McNett created a colossal sized ship that was inspired by mythology and Viking traditions. 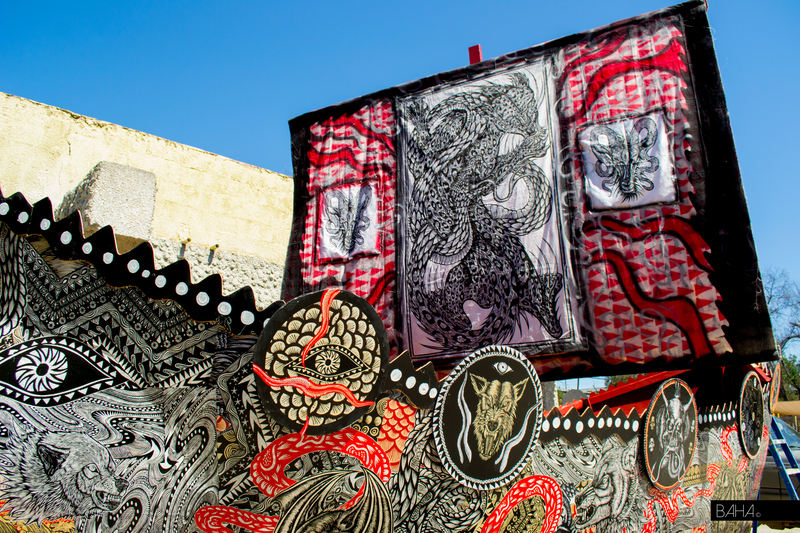 His installation included handmade paper masks, traditional relief prints, and his signature colors of red, black, and white. 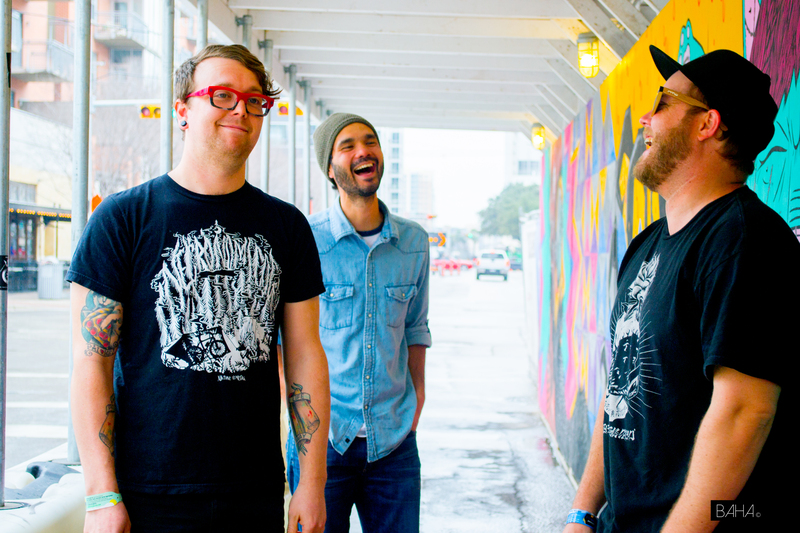 The ship was built outside the Yellow Jacket Social Club and was the focal point of the venue during SXSW. 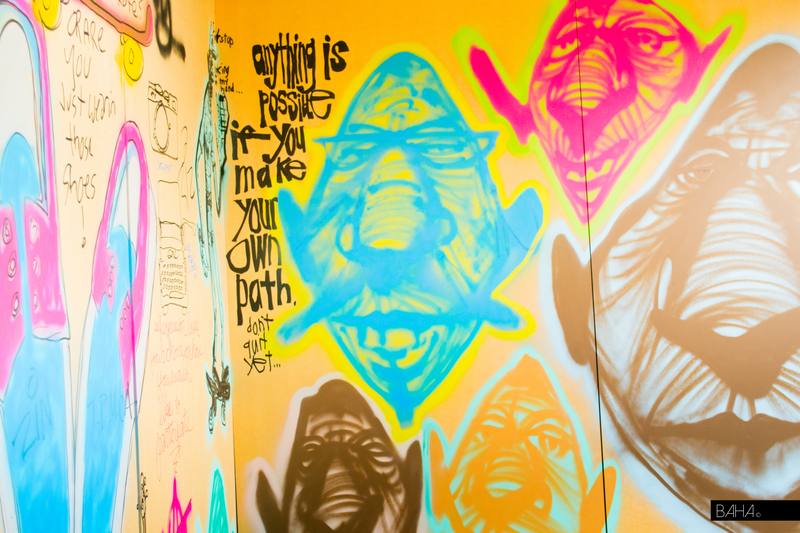 The Vans Village pop-up store, another inspiring location, included exclusive unique art and collaborations. 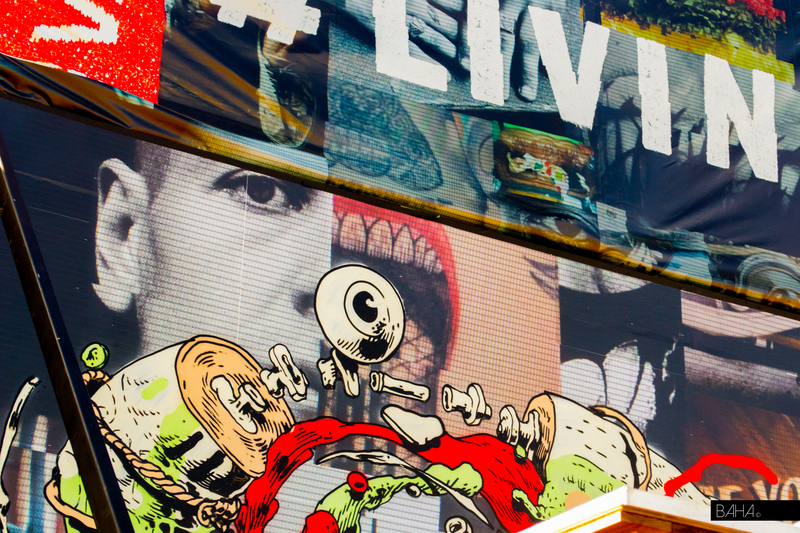 Artists like Jay Howell, Rich Jacobs, Zio Ziegler, and Smithe collaborated with Vans by painting shipping containers and designing brightly colored murals throughout the festival. 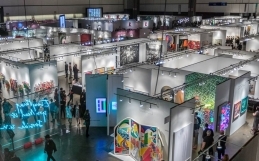 The local art scene in Austin also participated in the festival. 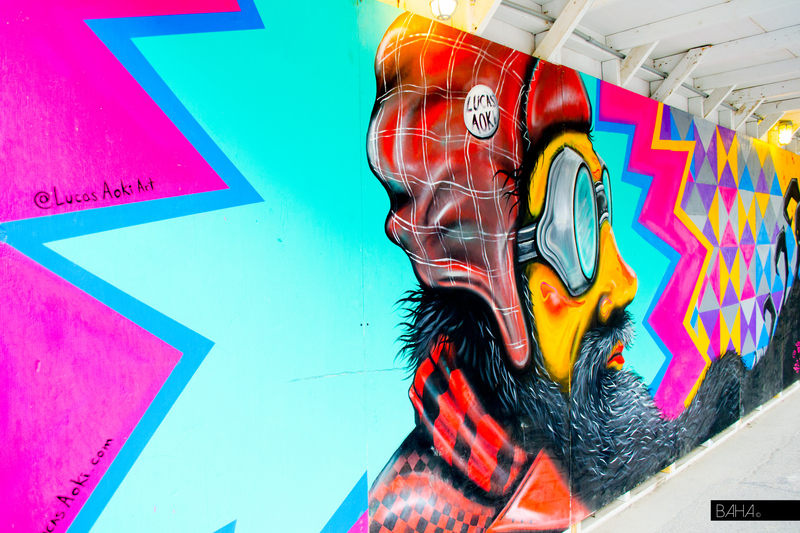 Arsenal Creative, a brand agency, commissioned five local emerging artists to paint a mural for the pedestrian walkway of the newly designed Colorado Tower. The mural featured Brad Maxfield, Brian Maclaskey, Lucas Aoki, Brandon Mike, and Mike Johnson. I’m glad I was able to work with a great team of artists and friends. I look forward to future collaborations and I’m pretty stoked that we were able to have the mural up for this years SXSW. It’s a pleasure knowing that people from all over the world got to experience our mural and check out the rest of Austin’s art scene. TOP: Mural designed by Brad Maxfield, Brian Maclaskey, Lucas Aoki, Brandon Mike, and Mike Johnson. 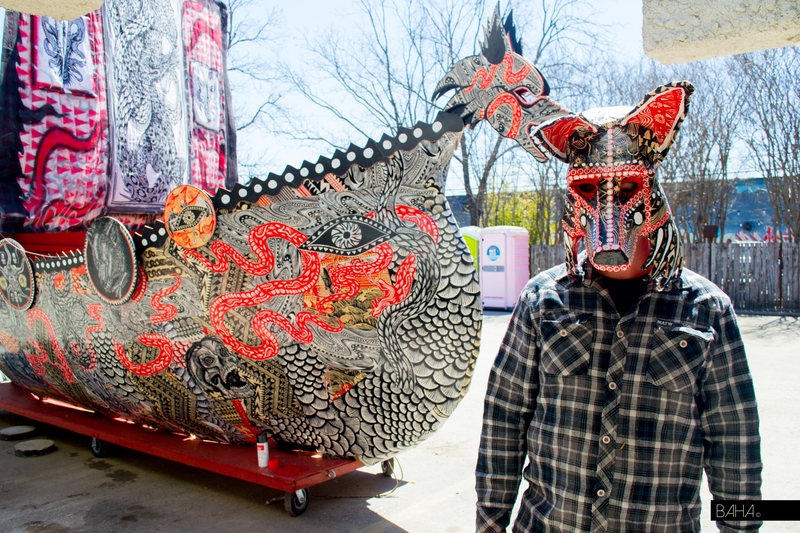 Artist Dennis McNett posing with his handmade tribal mask. 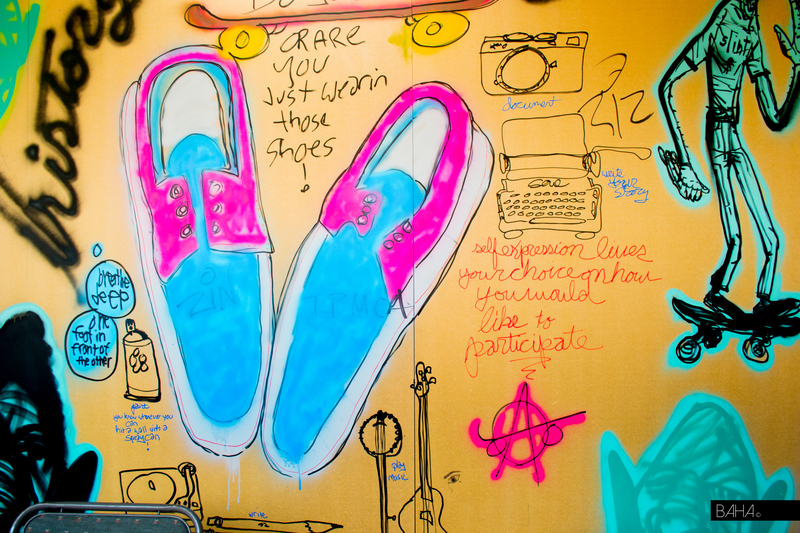 Vans Village live painting collaborations with Jay Howell and Rich Jacobs. 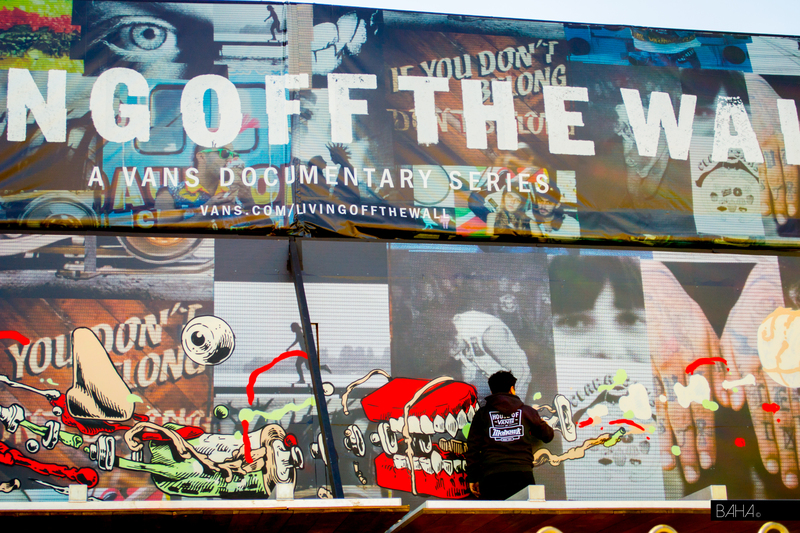 Vans Village Mural designed by Smithe. Melt Down is a 3D mural created by Andrew Schoultz. 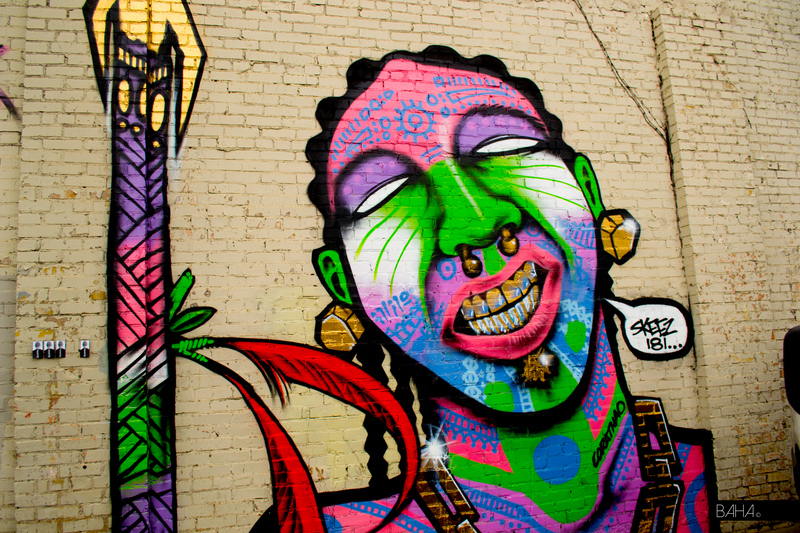 Mural Designed by Corathao and Skeez 181. Mural designed by Brad Maxfield, Brian Maclaskey, Lucas Aoki, Brandon Mike, and Mike Johnson. On the left is Brian Maclaskey, Lucas Aoki, and Brad Maxfield posing with their mural on 3rd street. Richard Colman Orbs located at The Fader Fort. SXSW crowd located on 6th street. 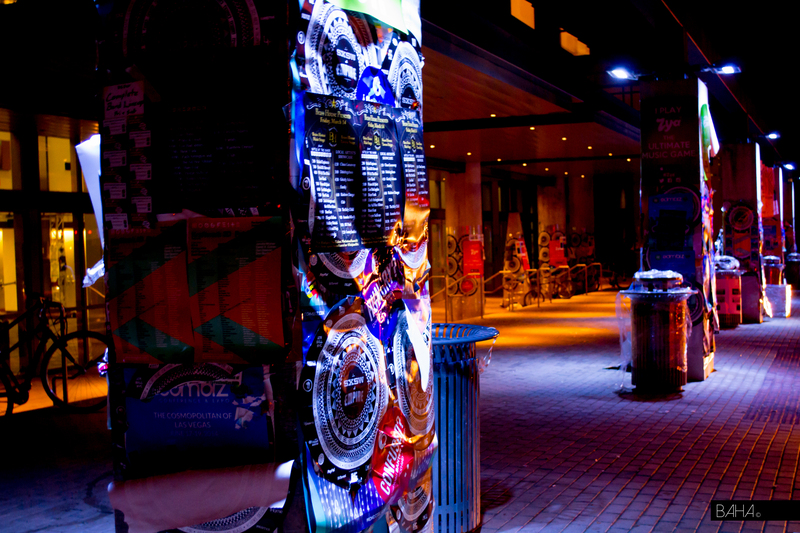 Posters, band fliers, and blitzkrieg advertisement located all over town.